A sideshow ventriloquist, midget, and strongman form a conspiracy known as "The Unholy Three" and commit a series of robberies. The protagonist is trapped within himself and is unable to comprehend the changes taking place around him. "Talkie" remake of Tod Browning's 1925 silent film. A trio of former sideshow performers double as the "Unholy Three" in a scam to nab some shiny rocks. A man who wants to move on with his life by moving to California and marry his girlfriend, finds it difficult as he still lives in the towering shadow of his aging father. Duke Mitchell: Don't mind my friend. He has a one-syllable brain. A B-Movie that has a semi all-star cast. The main characters are played by Duke Mitchell and Sammy Petrillo who bear striking resemblence to Dean Martin and Jerry Lewis. But act very idiotic, that they make the real M&L look original! In this so-funny-it's-stupid type of B-Movie they play these entertainers who came across a tropical island called, get this, "Cola-Cola". It's residents are natives who do nothing but say, "mucky-mucky" or something very similar in their so-called 'native language". 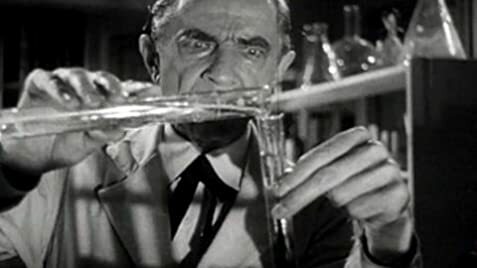 And Bela Lugosi playing his seemingly best B-Movie role, a mad scientist. 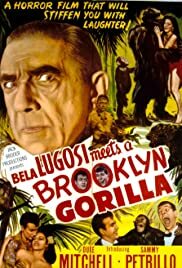 The funniest part was when Bela injects Duke with a serum that turns people into gorillas. It's so cheap-looking that you could tell it was a man in a gorilla costume! I cracked up at how ridiculous that looked. As having lived in Brooklyn for most of my life before moving to Atlanta, and I would like to say that I've heard way better Brooklyn accents than Duke Mitchell's in this movie! You might agree if you've watched this increasingly lame excuse for a comedy! If you watch this movie, you might wonder what the directors and producers were smoking when they thought up of this stupid excuse for a comedy movie. I'll admit it's fun to watch for B-Movie fans like me. If you want to watch a comedy that involves mad scientists and gorillas, then watch The Three Stooges or Abbott and Costello which ever serves your interest.